DS Carriers really were excellent. The quote was clear and competitive, they were extremely helpful and flexible when we had to change our move date due to a hitch in the sale, and they communicated with us really well throughout. Most importantly, though, the service they provided was outstanding. They provided all packing materials and packed all of our items one day, then moved them on time and without a hitch on the second day. There were no breakages and all items were in good order at the other end. Throughout this they worked incredibly efficiently and effectively – I was hugely impressed. Other than pointing out which items were to be packed at one end, and where things were to go at the other I didn’t have to do anything. This was particulalry important for us as my wife was heavily pregnant, I had to work on the day of the move and we were also trying to avoid losing our nervous and speedy cat. For these reasons we were pretty concerned about the removals, but we needn’t have been. To top it all off, the team who did the packing and moving were a really nice bunch of blokes for whom nothing was too much trouble. I hope we’re not moving again soon, but if we did we would definitely use DS Carriers. I have already recommended them unreservedly to friends and will continue to do so in the future. DS Carriers were excellent. They are a high-class, professional family company who combine a personal service with great expertise and experience. The owner/managing director who estimated the job and via whom I made the booking was always available to speak to on the phone and responded swiftly to any email query. The guys who did the packing and removing were a fantastic bunch of boys who were polite, hard-working and a real pleasure to deal with. I would recommend Ds Carriers to anyone who wants a first rate job at a very reasonable price. We couldn’t have asked for a better removal company! They were affordable, professional and prompt! DS Carriers moved all of our household furniture from Glasgow’s west end to Edinburgh and did it without a hitch. From the quote to the end I had every confidence in DS Carriers. I dealt with Sean, throughout the moving process and he was great to deal with, When I had to change moving dates, this was not a problem. The price quoted was the price I paid. I would definitely recommend them to others! Fabulous service from this company, after coming recommended to me I decided to ask for a quote for my move into the city centre of Glasgow, Sean was fantastic to deal with and made my move pretty much stress free. Parking was an issue as it always is in Glasgow but Sean had contacted the council to request permission to park the van on double yellows. Recommended to me and I’ll definitely recommend them to others. This was our second time using Chris and his team for our move from Helensburgh to Glasgow. Nothing is too much trouble and will always go the extra mile to make your move stress free. Our furniture is cared for and nothing is ever damaged or broken. I would highly recommend Chris and his team. They certainly will not disappoint. I would like to say a massive thank you to the guys for their effort today as they were fantastic from the moment they arrived. They didn’t let the cold bother them and made my day a whole lot easier. Very pleased with the wrapping also!! We were recommended DS Carriers Ltd by a friend , and we weren’t disappointed. What a brilliant team . So thoughtful and polite , the moving guys were excellent at their job and very well organised . They were a pleasure to have around . Very efficient , very careful with our belongings. We were impressed with their handling of all the furniture and the way they made sure they were wrapped before taking out the house, also impresses with our garden things being put in a separate van to house stuff , therefore keeping everything clean . Our challenge of many many garden planters and pots did not defeat them , and precious plants were unharmed . All furniture etc arrived intact and into the room they we’re designated . A great team led by Chris, and who I would highly recommend . We were moving from the central belt to the north east of Scotland. They were prompt, courteous, and efficient. Really helpful at both ends nothing was no bother to them. I highly recommend them, do not go anywhere else. Cannot recommend this company enough.Really friendly guys who did a professional,great job in a timely manner. They really do provide a five star service, Used these guys to move my elderly parents into sheltered accommodation and very glad we did. They were attentive and kind to my parents during the move, stopped several times to chat to them and listen to their stories which helped my parents relax and made them part of the move. There was no stress during the move thanks to DS Carriers. Lovely delivery crew. ordered my new sofas from Harveys Furniture and these boys arrived to deliver and install, they were very good at their job and made sure they delivered without causing any damage to my newly decorated hall, they took great care and made an old woman very happy with the service they provided. Set up and took away the packaging, they were polite and well mannered to me and my husband. A real credit to your company and Harveys Furniture. We will be contacting the store to pass on our feedback. Chose this company based on reading reviews online and we weren’t let down in any way. We were very pleased with the service provided, the quotation was clear with no added or unexpected extras, the movers were great and all we had to do was direct where we wanted our furniture placed. They wrapped all our furniture and even put covers over our beds. 5 star service that I would definitely recommend. Brilliant service from start to finish and made the whole day less stressful. We were moving from a 3rd floor flat which they took it in their stride with no complaining. The guys took good care of our belongings and added a bit of banter to keep us amused. We were so impressed that they got our huge settees into the new flat as I had prepared myself that they wouldn’t fit, as my hubby said “they know their onions” I would recommend them and would use them again. I could not recommend DS Carriers enough. Great guys to work with, always punctual, flexible and have helped us out in a lot of sticky situations. We have worked with DS Carriers on over 30 projects relocating vulnerable people in need of some help and we always been extremely impressed by the way they handle each delicate situation. They really do make the whole moving process less stressful. The staff have been their for a long time so we feel reassured every time we use DS Carriers for our clients. One to one personal service. Always happy to recommend Sean and the team. If you are moving then you won’t get a better service from anyone else! I cant recommend DS removals highly enough. The guys went above and beyond to ensure our move went smoothly. Nothing was A bother to them, they were professional, helpful, courteous and all had a good sense of humour which actually helps on such a stressful day. They took care of our possessions as if they were their own, they were calm when faced with the access issues at the new property and ensured I was happy with where the furniture was placed then moving one item of furniture several times to ensure I was complete happy with it. Great bunch of guys. I cannot praise DS Carriers highly enough when they moved my daughter from Glasgow to the North East of England recently. Timing was of the essence for us and Sean Strathearn , together with his team led by Donald, were highly punctual, extremely courteous and careful throughout. Other companies whom we asked to quote did not show the same high degree of enthusiasm and interest in providing a quotation for a Saturday move. We felt totally reassured by the attentive removal service that Sean, Donald and colleagues provided and will have absolutely no hesitation using them again for future moves. I highly recommend Ds Carriers to anyone looking for a moving company. Everything about the experience was great from first to last contact. They completed the move in record time, picked up all the boxes a few days later and, for me most importantly, i thought everyone was so nice to deal with. The packing they did for me was a great help, not a glass broken! Can’t praise this company up enough and would recommend strongly to anyone i knew. I use DS Carriers on a regular basis to move our artwork to exhibitions around the country and can’t speak highly enough of these chaps. With our artwork being very delicate and expensive I needed a company that I could trust to treat them with care and with DS Carriers that’s exactly what they do. Before transit they ensure all our art is carefully wrapped for the journey giving me piece of mind my goods are in safe hands. The men are great at what they do and it’s the same friendly faces that come every time. I wouldn’t go anywhere else. Frank Sutherland. Chose Sean and his team after reading reviews online and they didn’t disappoint. After meeting with Sean a few weeks before to obtain a quote I was more than happy to proceed and confirm my booking. Guys on moving day were very good, had my home packed up and loaded in a few hours. Only problem was the wait for keys of my new place- huge thanks to the moving guys for their continued support and patience while the matter was rectified. If I’m ever moving again it’s these guys that will be doing my move, a first class service. I want to say a huge thank you to the team at DS Carriers. When moving my father into a care home they took extra care to pack all his belongings and involve him in the process. Their service was both efficient and friendly and they made this difficult time all the more easier. They ensured that all my dads belongings were unpacked – going beyond the service expected of them. I really valued this as they didn’t need to do it. Once again many thanks to all members of the team. Being from Glasgow I hadn’t heard of DS Carriers however after our financial advisor recommended them I thought I’d give them a call and ask for a moving quote. The gent came and visited our home to find out our requirements which was a huge help as most companies I called just wanted to give costs over the phone or email, I much preferred someone to visit to ensure they knew exactly what we required -which was a full home packing and moving service. We were delighted with what DS Carriers had to offer and they took care of everything, they were a pleasure to deal with and the gentlemen were meticulous with the packing and moving of our contents. I’m glad we chose this company, service was first class, my wife and I were delighted with our move and would certainly recommend them. I asked DS Carriers to carry out our home move after a good friend and colleague gave them a glowing recommendation, they were superb in dealing with all aspects of our move, even after I requested to change the date of our move several times due to our new build not being ready, Sean was always very accommodating and managed to fit us in. Moving day was a lot easier for us knowing DS Carriers were doing our move – they made sure all our possessions and furniture were looked after. Once loaded we had a delay of 4 hours for entry to my new house, DS Carriers didn’t charge a penny extra for waiting. Very impressed with the service they gave me. Sean,Donald and the rest of the guys were great. I would like to say a huge thank you to DS Carriers Ltd for assisting me in moving home. They were excellent to deal with and lovely people, from the first point of contact until the last item came of the truck they were great. It made a big difference dealing with the one person throughout my move, when looking for a company most wanted to give costs over the phone however DS Carriers came out to our home to find out our exact requirements. They looked at the furniture to be dismantled as I wanted this service, and spent over an hour discussing my move. I will recommend this company to friends and family. Thank you again. We were really impressed with DS Carriers . They arrived on time keen to get started, they were really efficient, took great care over packing items, wrapping sofas in plastic to keep them clean etc. The two guys that came were really polite and friendly they were also very experienced. Very happy with everything they did for me. We had a great experience using DS Carriers for our move, easy to understand quotation, pleased with the cost and the staff were fantastic, did everything to make sure we were happy. We have booked them again to relocate our daughter! DS Carriers really gave my furniture the 5 star treatment, they made sure my things were wrapped, definitely a pleasant surprise! I'd certainly recommend them. Have already recommended to friends moving. Very professional service from first enquiry, to actual move. Can't fault anything about the service. Excellent removal company made our move stress free from start to finish. Within 24hrs of calling DS came out to quote our move, we received our quote a few hours later, speedy service! Great service and a fair price. Didn't expect them to wrap my mattresses and sofas but glad they did. Finally getting round to leave a review for these guys after they moved us a few weeks ago. I found them very pleasant and professional at all times, I had three companies come to my home to offer their services but found DS Carriers to be the best at explaining the process and felt they were going to provide me with the better service. 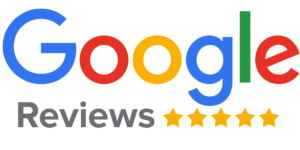 Also along with reading their many reviews I was very impressed and I can see why, they were fantastic, they came well equipped with wrapping my furniture. 10 out of 10 and I would recommend. Even better thats it's a local family company. Great service today from a team of professional and delightful staff, worked well and nothing was any trouble. Writing this review as a thank you to DS Carriers, its the least I can do to after the fantastic service they provided. They have been great from the get go, from first contact right through until the end. Staff were great, uniformed and very pleasant, I could see within 5 mins of arriving they were very good at their job, they made sure my furniture was wrapped and managed to navigate my tricky furniture through difficult access. Even in the 32 degree heat we had during my move they guys worked hard and were professional at all times. They were recommended to me and now I can see why, great bunch of lads.